FLIR Systems is the world leader in the design, manufacture, and marketing of thermal imagers for industrial, scientific, governmental, commercial, and fire fighting applications. Reflecting the growing preference to access information using Social Networks - FLIR Systems maintains highly informative Facebook, Twitter, Linkedin and soon Google+ facilities for people using or interested in thermal imaging worldwide. In addition to enabling easy communication and networking with other thermal imaging professionals worldwide - FLIR Systems social media provides access to updates on FLIR products, trade shows and news items as well as YouTube videos, Application Stories, Guidebooks and Software downloads. 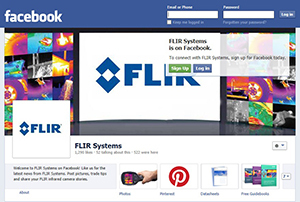 To join the FLIR Systems Facebook community please visit https://www.facebook.com/flir.cs?hc_location=stream. To join the FLIR Systems Twitter feed please visit https://twitter.com/FLIREMEA. 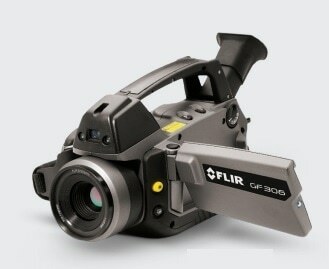 To join the FLIR Systems Linkedin group please visit http://www.linkedin.com/company/flir-systems. Also, don’t forget to subscribe to FLIR systems YouTube channel at https://www.youtube.com/user/FLIREMEA. 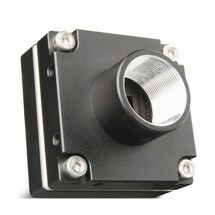 For further information visit www.flir.com or contact FLIR Systems on +32-3665-5100.